If during the run-up to the 2008 election you’d told black voters that the election of the first black president would set the stage for a credit downgrade at one of America’s most elite historically black colleges, you would’ve been soundly mocked and briskly dismissed. Later, however, you would’ve been proven right, since Moody’s Investors Service downgraded Howard University’s credit rating on Tuesday, citing declining revenues at HBCUs and Congressional budget cuts. 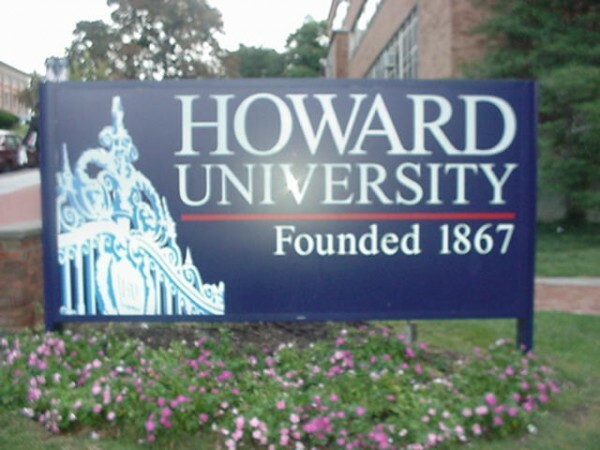 Howard University’s credit rating was reduced from A3 to Baa1 after a review which began in July. According to Moody’s, fundraising is weak, resulting in an increased credit risk for the university. Howard is a private university but relies on $250 million dollars from the government annually and will be impacted by budget cuts. Another reason for declining revenue at the school are new rules put in place by the Obama administration. When the Obama administration changed its financial aid policy and began checking the last five years of a parent’s credit history—which spans the deepest recession in modern history—for defaults, instead of just the last 90 days, as was previously the policy, the rug was pulled out from under black schools. This policy change forced 28,000 HBCU students to drop out, and cost schools $150 million. As a result, the number of PLUS loans granted was unexpectedly cut in half. Black schools’ advocates and students have been decrying the policy for almost two years, but the rising tension burst wide open last month when Howard University, the wealthiest HBCU with an endowment of around $460 million, announced it was in financial straits. HBCU’s serve disproportionately poor students, but given the circumstances, one wonders how much longer they’ll be able to function in this way. Disclaimer: Yvette Carnell is a graduate of Howard University. I’m not surprise by this latest information regarding the Obama Administration and its actions toward HBCU’s funding. I have run out of fingers to count when it comes to this administration’s “piled-on” hardship towards the black community and the black community’s presumption that ‘everything’ is going to be alright with the first black president of the United States. First, the black community need to understand that President Obama is a “politician” who happens to be the ‘first’ black POTUS. Its alright to be proud to have a blackman elected as POTUS but Obama made it plain that he is going to POTUS and not the “black president”. Second, the black community need to be just as critical of this president as any other president who doesn’t deliver on the issues and concerns that is most important to that constituency. Highest unemployment of any ethnic group in the U.S., lost a majority of black wealth due to scrupolous banking and real estate mortgages, high incident of blackmale shootings by law-enforcement and stand you ground laws, disproportionate incarceration due to the unfair federal ‘war on drugs’ policy, small black businesses unable to get bank loans. I guess if nothing else we can at least “feel good” that a blackman is POTUS. Time will tell but I hope I won’t have to start counting my toes! I attended and graduated from an HBCU and really feel this Administration has placed “their boots” on the necks of HBCU’ not realizing the importance universities such as these provide within Black communities Worldwide. During my school days many people from continents and countries such as, Africa, Iran, and Ireland were in attendance and we learned from their culture as much as they learned from ours. We learned to Respect each other and live together in harmony. I wish this Administration could see and experience first hand HBCU’ are a valuable resource, and should be revered as much as university’ like, Harvard, Princeton, and Yale. I agree with your statement that you “..wish this Administration could see and experience..HBCU are a valuable resource,” the foundamental truth is that “this” president is an “ivy-league’ alumni and will never know the valuable resources found in HBCUs! You can ask yourself another question, would President Obama and Michelle Obama be willing to send their daughters to a HBCU as oppose to an Ivy-league campus? I think not because they probably believe that having an Ivy-league education would be better for their daughters than having a HBCU education. That is subjective on my part but the president’s recent actions against the HBCU is proof enough that he doesn’t value their contributions to the U.S. or the black community at-large. You are spot-on with you opinion of this administration. The sad truth, he would not want his offspring to attend an HBCU because his administration hasn’t done anything for these universities. Period. Maybe his outreach would’ve be different if the POTUS had African-American relatives by blood and not by marriage. If you surround yourself with “boule & elite” you miss the main ingredient, “The Soul”. Don’t get me wrong, President Obama has soul, but I feel AG Holder has more…. It’s all about lineage and that’s why I wish his administration would do more for HBCU’s. AMAZING GRACE President Obama “married” into the “main ingredient” because Michelle is a “daughter of slaves”, Barack is the “son of a white woman and a black African man”. He doesn’t nor will he ever have the “soul” in which you speak of, he is just ‘fronting” for the black community’s support while all along he and his family is benefiting from that “white heritage” in which he is a part. I’m not knocking the brother, but I really don’t see ’empathy’ coming from Obama because he doesn’t “know” what it means to be a “son of slaves”. He has the color but not the conscious and thats where the “detachment” is when it comes to black issues/concerns in critical-mass and this administration. Be bless. I think this is an opportunity to do something for “our universities”. It is simple if a few of our people in the media would announce that they want us to send three dollars each year to one university starting with Howard. If you are abe to send more do that. But if we believe in each other and the institutions that support us. It is our responsibility to make sure it is financially solvent. We don’t need talk we need to send the price of a hamburger to Howard University January 1, 2014. Every year after, we will send hamburger money to a chosen university; we don’t need to beg for favors or expect help from anyone but our selves. It might be silly enough to work. Respect! This “hamburger money” idea isn’t a bad idea and it sounds practical but probably very unlikely to happen. I have heard that Howard University is known for its law program and producing black attorneys. Being on the westcoast (Los Angeles) we have several universities that has international reputations for their law programs (USC, UCLA, Marymount, etc.). They all have a very active “alumni” program and I wonder does Howard have the same level of participation by its alumni? Is there a sense of “loyalty” to the university by its past students? Another concern is the decline of black college enrollment by the black students graduating from high school, the “costs” of a college education in the HBCU and the “recruitment” program at the HBCU’s. One of the problems is the black community in critical-mass is not nurturing a “black consciousness” and importance of a college education with its youth. Starting with the craddle through high school black parents should train their children to expect to attend college and start ‘saving’ money towards that goal along with “good” grades to qualify for scholarships. If these black youth can memorize every lyric in a rap song they can attend any HBCU university with the same determination and effort.